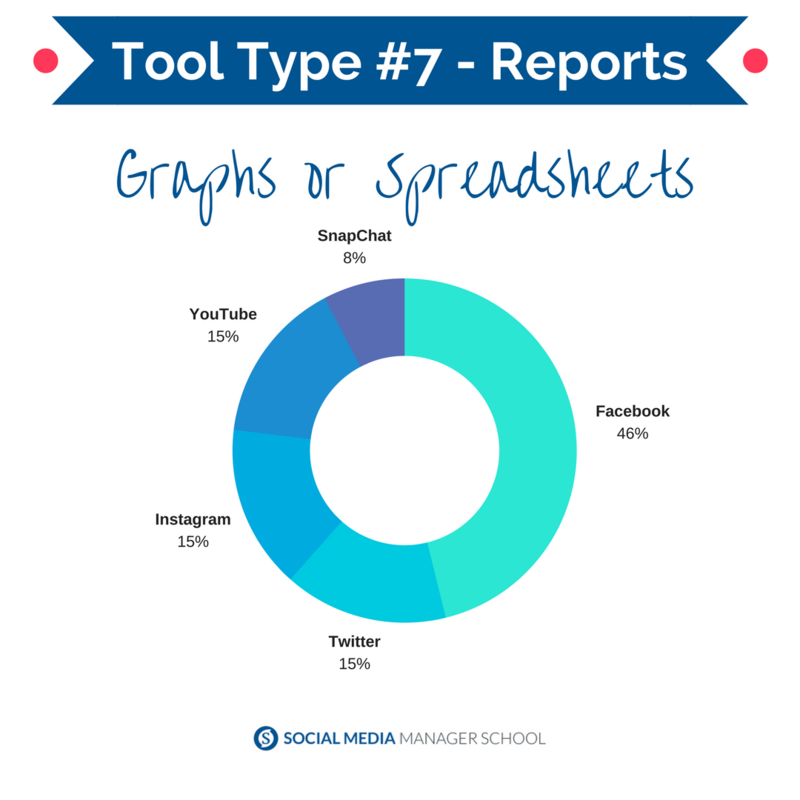 What are the 9 Types of Tools You Need as a Social Media Manager? 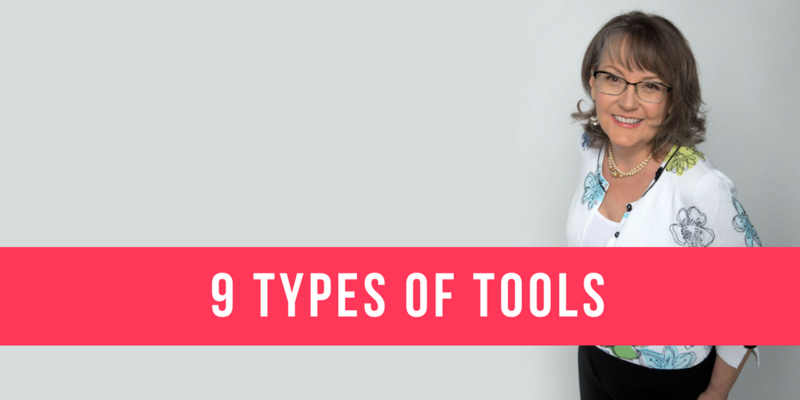 In my experience as a social media manager, consultant, and trainer, there are 9 types of “tools” someone needs to conduct their business. To be super clear — This is not a list of tools for managing your social sites; it is a list of tools to manage YOUR life as a social media manager. In my world simplicity reigns supreme. Find the one or two best tools for each type, and try not to get distracted by the next shiny idea. If you find the systems you chose don’t work for you, then go shopping for just that type of tool. Try to avoid the “Top 200 Tools” lists. Instead, tap your community to ask what they use and ask for reviews. 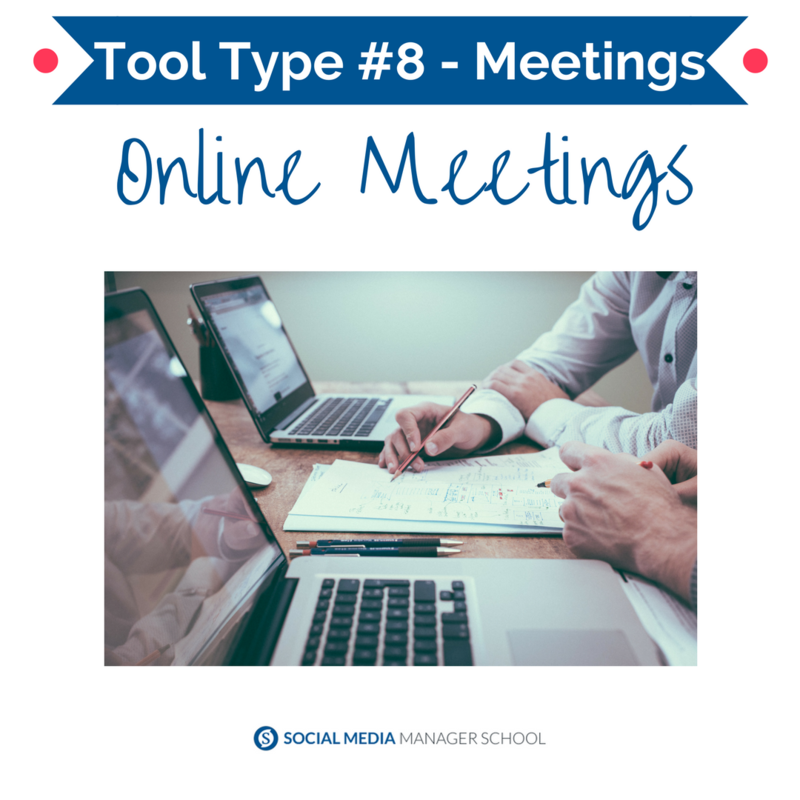 You’re going to need these 9 types of tools: calendar, social posting scheduler, invoicing system, social account management, relationship management, image and video creation and editing, reporting system, file management, and an online meeting system. Everything else is icing on the social media manager cake. Let’s go through them one at a time, and I’ll try to explain why you need to figure them out now – even before you have a client. If you already have clients, hopefully, this helps you streamline your process and save you time and make you more money! You absolutely need a calendar system. 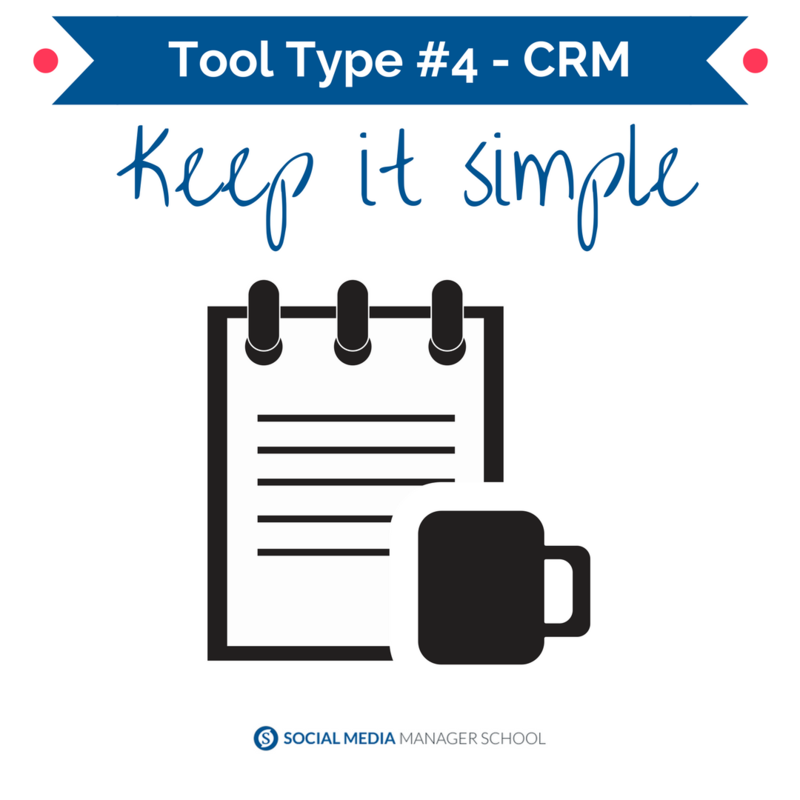 This is the top category of tool you’ll need if you plan on having more than one client. Use your calendar system of choice (Google Calendar for the win) to be your Daily Time Journal, Editorial Calendar, Social Post Planner and Product Launch Calendar. Whichever system you choose, you need to make sure it auto-syncs with your mobile phone and allows you to create and make edits through that mobile interface. Avoid Task Lists, as I have found these really don’t serve you in the long run (unless you transfer the items to a calendar.) Add any task “to do” on a physical calendar time-slot to really keep the momentum going. One of the many nice features of using Google Calendar is you can create a Calendar for each client or color-code each calendar on one view. This gives you loads of flexibility for you as a manager or consultant. 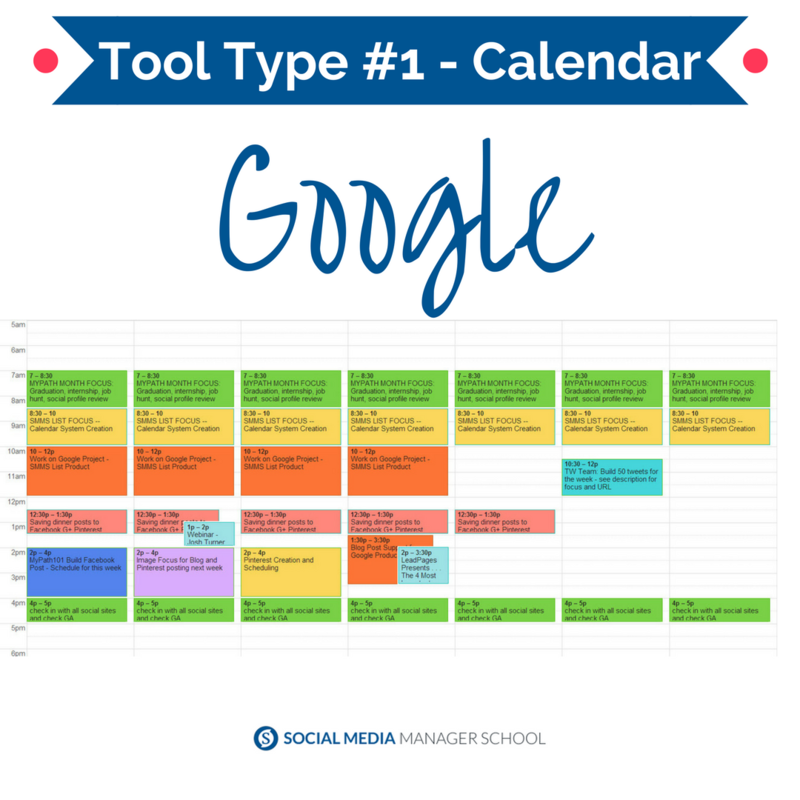 Every social media manager needs a way to schedule social posts. There is no way to physically, manually, post everything you need for yourself and clients. You would have to spend 15 hours a day staring at a screen – which is not healthy for anyone. The good news is there are many excellent systems for this tool. This category will take you the longest to figure out for yourself. I can make some recommendations, but you should ultimately find the best systems for your world. You might find some wonderful system that allows you to schedule for all social sites, but if you need some simple ideas for social-specific posting, here are a few. SocialJukeBox is my #1 tool for scheduling tweets. A close second is eclincher and then MeetEdgar. AgoraPulse, SproutSocial – like I said, this category is FULL of good tools. Facebook’s built-in scheduling tool is still the best for scheduling Facebook Posts to a Page. 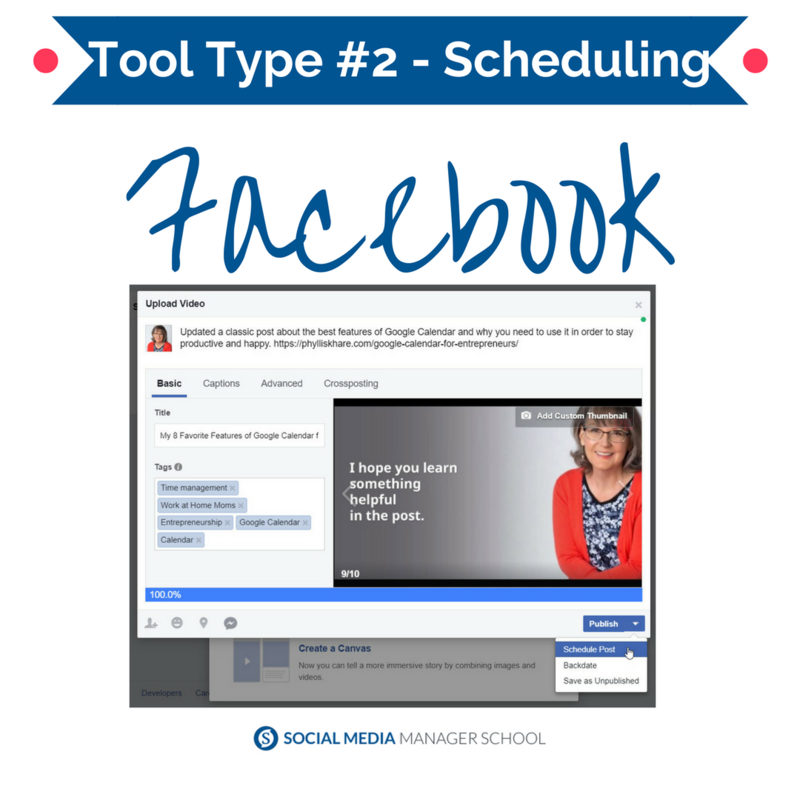 Dive deeper into Facebook’s scheduler in this post. Instagram doesn’t have TRUE scheduling (yet) because they haven’t realized the API for developers to incorporate it into their systems. But once that happens — every social media manager on the planet will be doing a happy dance. HootSuite http://hootsuite.com is a good gateway scheduling system. 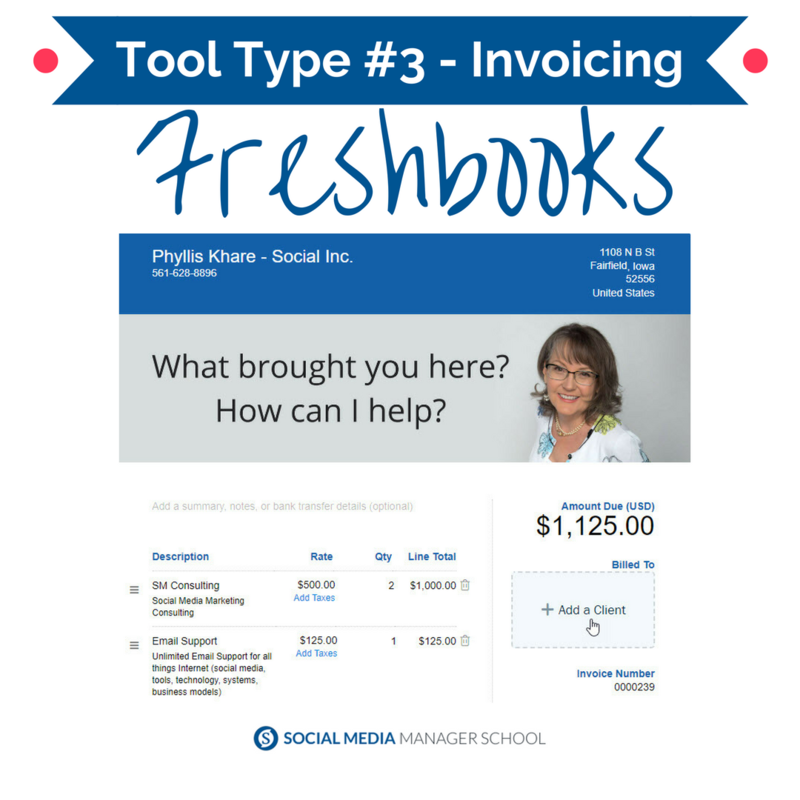 You need an invoicing system as a social media manager. You might already use QuickBooks or any number of software programs, but FreshBooks is very easy to set up and has a very nice user interface. You can track your time, get paid online, have accounting forms sent to your accountant at tax time, set up late payment reminds, create recurring bills, and so much more. It’s worth a look. I’m sure you’ve found that keeping track of all the usernames, passwords, email confirmation addresses, IDs, and all those important details about a client’s account can be challenging. You absolutely need a good system to keep it all organized. You might have come to be a social media manager from a job that had a great CRM system in place. Sometimes you have to create your own or use a system built for this. You can start out as simply as creating a text doc for each client with all the important info on it. Just keep this handy! You might need to get to it at a moment’s notice. Let me be really clear here, I don’t want to recommend any particular software system to you just in case it doesn’t work. The last thing I need is to feel guilty around a recommendation for passwords! Old School would have used a paper folder for each client (and new school still does this – only it lives in Dropbox or Google Drive). There are so many options here, too. Just like the Social Post Scheduling system category, there are a lot of companies that have created systems for you to use. Even LinkedIn contacts work well if you’ve integrated your email contacts. The question is: “Which system is easiest for your work flow?” You can consider using Gmail’s contact interface or any number of CRM systems; SalesForce, Nimble, Insightly, and much more. You’ll need to figure it if you just need it to manage contact information or manage sales flow from social to lead to a customer because those are really two different types of systems. I use Snagit at least 10 times a day. It is an invaluable tool for my work for clients. You can use the free Snipping Tool that comes with your operating system, but Snagit is a breeze to use. I used the video Snagit to record all the video tutorials I created for Social Media Manager School. It is the one tool I can’t live without. But hands down, the best image creation tool I use is Canva. If you use your own images and the free fonts and backgrounds they provide, Canva is a free service. You only pay a little bit (currently $1) for images you end up using from their stock images and backgrounds. So you can play as much as you want to see if this one works for you. consider getting a Canva for Work account for all the wonderful features you gain with that level. Others in this category are: PicMonkey, Adobe Photoshop, and any number of mobile apps. And I’ve recently started enjoying Lumen5.com Check this one out! While you are researching system for your Social Posting tool (#2 above), make sure you check into their reporting features. You might be able to combine these two tools into one system. For example, SproutSocial has a lovely interface for Reports. I also think Google Analytics has a lot of what you might need for reports, especially with their custom dashboards and auto-emailing reports. It all goes back to your original conversation with your client. What do they really want to know? If they just want a quick report on the growth of Followers month by month, then a simple spreadsheet (Google Spreadsheets would be perfect to share with a client) is plenty. If they want a finely detailed multi-page report then you’ll need a dedicated social dashboard that tracks everything you need. If you’re working as a Virtual Assistant, virtual social media manager, or consultant, you absolutely need a good, reliable online meeting system. One of my favorite tools in this category is http://Join.me. The free version allows up to 10 people to attend a meeting, and you can use all the screen-sharing, internet voice, sharing who gets the controls, chat and the ability to send files. The Paid version ($19/month with a discount for yearly pricing) gives you a dedicated URL, the ability to have up to 250 attend the meeting, the ability to record the whole presentation including the audio (way cool), and you could present FROM your iPad if you wanted. No matter which one you choose, it would be hard to beat this tool for client use. But Zoom.us comes close! You absolutely need to have some type of online file storage system which you can share with a client. 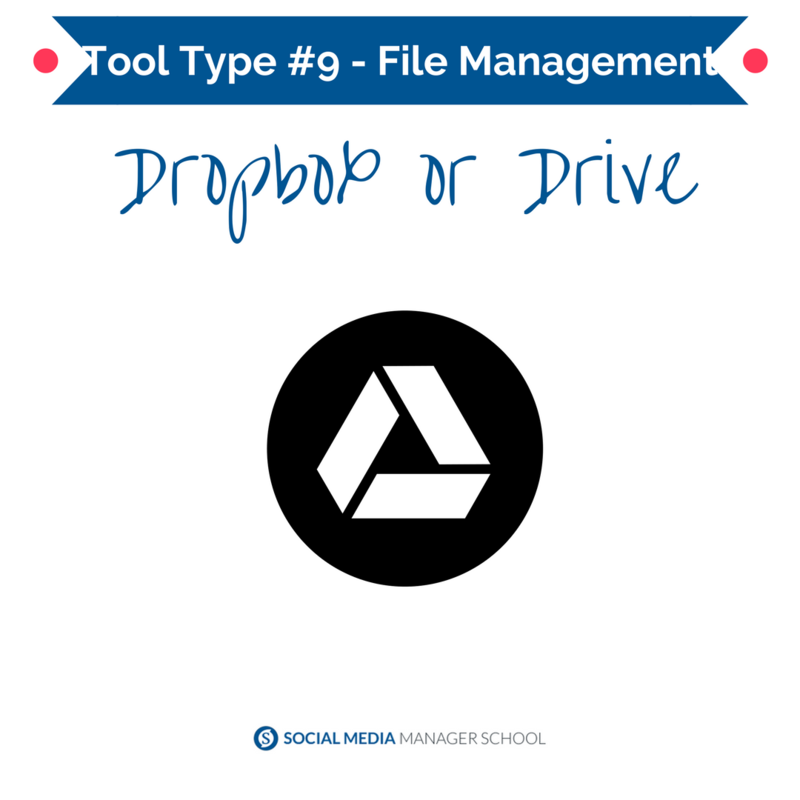 I use Google Drive and Dropbox every day, both with my clients and between my business partners. 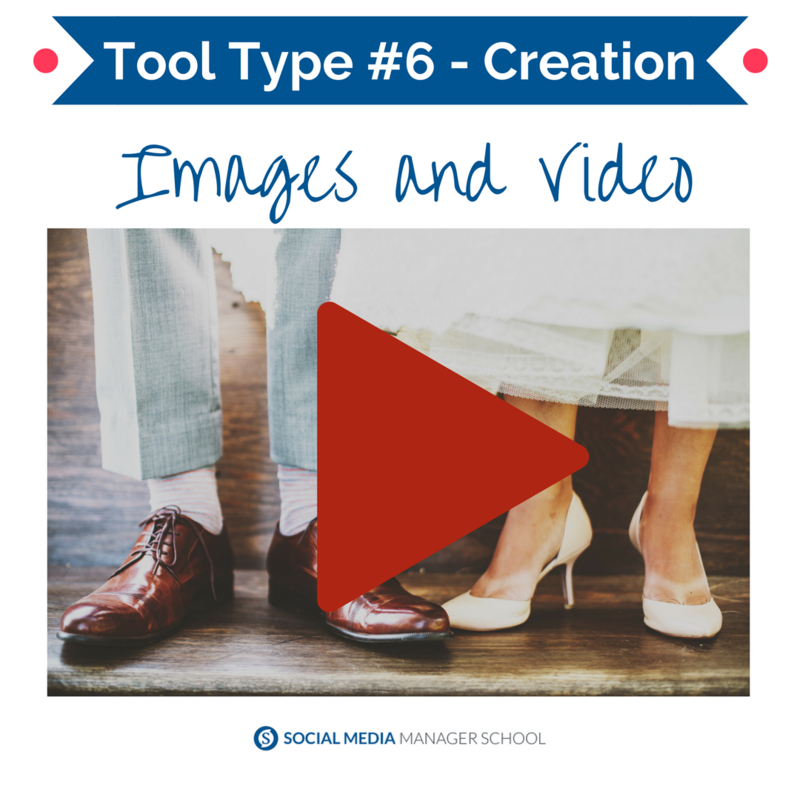 There you have it – a list of tool categories to manage YOUR life as a social media manager. 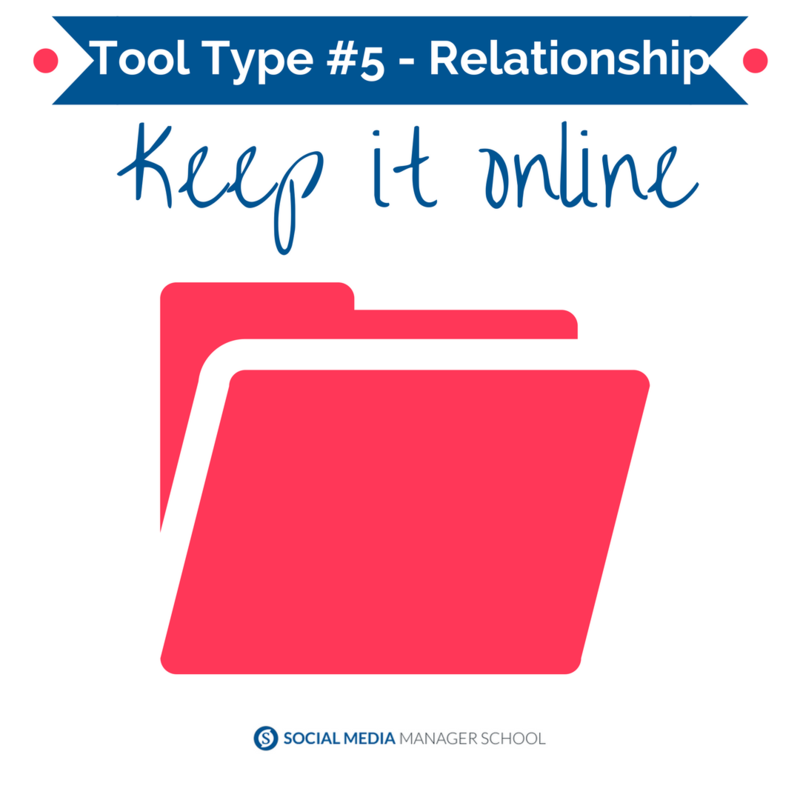 Just find the one or two tools in each category and you are set to go! If you are considering a career as a social media manager come on over to Social Media Manager School to join your peers in developing a #workfromanywhere lifestyle. Thanks Kristy! Love to help. One more for your list of “Online Meeting System”, try Zoom.us! All the features of movenote.com plus you can screen share on an Ipad or Iphone and have up to 100 participants for $9.99/month. There’s a free version as well. Thanks for the cool tool tip Angela! I’ll have to go check it out! Awesome!! I’m going to have to check out Join Me for my astrology readings over the internet! Looks like a perfect tool for that! Yes, it is really perfect for those sessions. Thanks for the list. Really helpful for the social media managers. I’d like to recommend another tool for reporting & competitive analysis: http://www.socialinsider.io. Give it a try and let me know what do you think!